Talk about value for money. 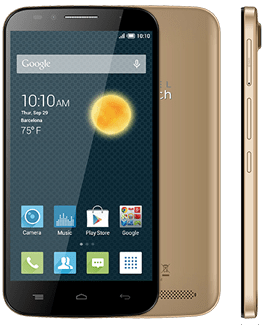 The Alcatel One Touch Flash Plus delivers quite a lot of specs for very little cost – namely a new 1.5Ghz Octa-Core processor, 5.5″ display, 3,500mAh Battery, and Dual LTE SIM slots. What’s not to like? Well, maybe the limited availability is one – its only available at Lazada, and the first batch of phones ran out really quickly. Thankfully later today at noontime (Saturday May 23, 2015), you’ll be able to grab one of these phones when the second batch arrives on the online shopping site. Check out the full specs below and our video preview embedded above! So if you’re in the market, better get ready to shop at noon. These phones go by fast. Best of luck in shopping guys!